Talented Design for Industry and 3D Design graduates showcased their innovative projects at the UK's most important exhibition for emerging design this month. 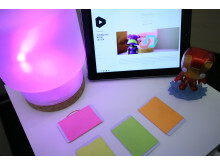 A creative method of exposing children to healthier food options, a kettle for diagnosing frailty and a range of products to combat animal anxiety were among the works displayed by Northumbria students at this year’s New Designers in London. 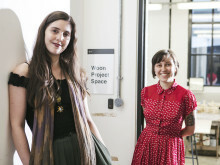 The exhibition, which took place in July 2016, offered students the opportunity to showcase their skills and creativity, meet industry experts and connect with fellow students in an environment aimed at celebrating upcoming creative talent. 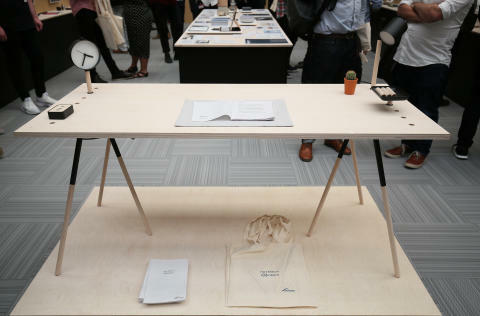 Leading industry figures and visitors attending the exhibition had the chance to appreciate the innovative and creative thought process behind graduate projects such as ‘Plank’. Northumbria’s Design for Industry student Adam Galley designed this unique piece of furniture that accompanies its owner for life. It is a clever sheet of ply, pegboard on one side and a smooth surface on the other which, thanks to a collection of intelligent components, allow the user to create their own configuration in response to their own needs. 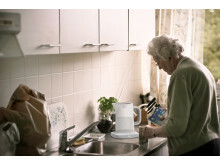 Callum Smith’s diagnosis kettle, ‘FrailTea’, allows for early recognition of frailty in order to better tailor care. The Northumbria student’s ingenious and socially aware design has been recognised at the RSA Student Design Awards this year and has also awarded him an internship with leading technological brand Philips. Continuing the trend of socially conscious projects, Jonty Aveyard’s ‘Armourdilo’ is a gilet and hood designed for autism. 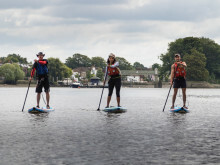 Aimed at reducing the anxiety associated with travel for people with autism, the features of the garment are hidden and adaptable, rendering it more conspicuous and unique to other products on the market. Two students from the Design for Industry course, Lewis Power and Tom Leslie received the ‘John Lewis Loves’ awards for their inspiring projects. Lewis presented ‘Leon’, a lamp that can be manipulated with our hands, whilst Tom’s project, ‘In Search of Atmosphere', prompts a conscious understanding of atmosphere and its inherent values through a considered interaction with light. ​The 10 finalists for this year’s prestigious Woon Foundation Painting and Sculpture Prize have been announced after a record number of applications. 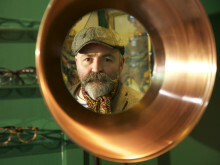 ​Northumbria opened its annual degree show with a stunning launch event across campus. 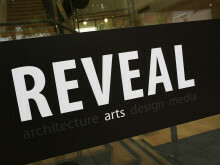 REVEAL featured the creative work of talented graduating students from the University’s Architecture, Arts, Design and Media course. 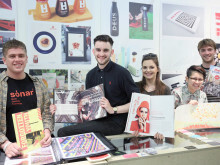 ​Two Northumbria students have had their innovative designs recognised by leading companies after being awarded prestigious prizes at the RSA Student Design Awards. 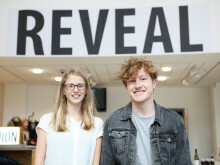 Design for Industry students Callum Smith and Poppy Crow are following in the footsteps of Northumbria alumnus Sir Jonathan Ive, Chief Design Officer of Apple, who won two RSA Student Design awards consecutively in 1988 and 1989. 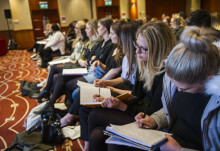 More than 100 students from Northumbria University, Gateshead College and Newcastle College gathered to meet with some of the region’s top Tourism and Event leaders. ​Have you ever looked into a mirror and wondered what happened to your fourteen year-old self? 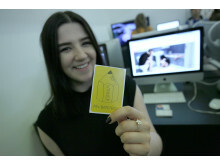 ​Media and Communication Design students from Northumbria won nine of the 29 ‘Ones to Watch’ awards at this year’s D&AD New Blood exhibition in London.